Candacraig offers an exclusive Highland retreat perfectly located to explore the remarkable beauty of the Cairngorms and surrounding area. Our 17th century mansion provides the ideal luxury escape to immerse yourself in the rich history and natural beauty of the Highlands, while partaking of some of the finest local traditions. Nestled in the heart of rugged, breathtaking Highland beauty, Candacraig allows guests to unwind in peaceful natural surroundings, with easy access to some of Scotland’s most remarkable sights and experiences. To the west lies the Queen’s own Highland retreat at Balmoral, while the stunning route north leads to the promise of whisky in the picturesque Spey Valley. The local area also boasts access to some of the finest fishing, golf and outdoor pursuits in Scotland. On Candacraig’s doorstep you can find the picturesque village of Strathdon, home to the renowned Lonach Gathering, the oldest Highland Games in Scotland. Lucky audiences witness the day begin with the parade of the Lonach Highlanders, as the echo of the pipe bands fill the nearby glens. A succession of two hundred kilted Highlanders, armed with Lochaber axes, undertake their march to secure the notable houses of Strathdon, with Candacraig counted among the illustrious number. This is a truly unique sight, and an unforgettable Highland experience. With its sensational location in the heart of the Cairngorms, but just an hour’s journey from Aberdeen and Inverness, Candacraig offers exceptional hospitality in a truly remarkable setting. Candacraig offers an exclusive Scottish Highland retreat perfectly located to explore the beauty of the Cairngorms and surrounding area. Our 17th century mansion provides the ideal luxury escape to immerse yourself in the rich history and natural beauty of the Highlands, while partaking of some of the finest local traditions. Nestled in the heart of rugged, breathtaking Highland beauty, Candacraig allows guests to unwind in peaceful natural surroundings, with easy access to some of Scotland’s most extraordinary sights and experiences. To the west lies the Queen’s own Highland retreat at Balmoral, while the stunning route north leads to the promise of whisky in the picturesque Spey Valley. The local area also boasts access to some of the finest trout and salmon ishing, golf and outdoor pursuits in Scotland. On Candacraig’s doorstep you can find the picturesque village of Strathdon, home to the renowned Lonach Gathering, the oldest Highland Games in Scotland. Lucky audiences witness the day begin with the parade of the Lonach Highlanders, as the echo of the pipe bands fill the nearby glens. A succession of two hundred kilted Highlanders, armed with Lochaber axes, undertake their march to secure the notable houses of Strathdon, with Candacraig counted among the illustrious number. This is a truly unique sight, and an unforgettable Highland experience. With its sensational location in the heart of the Cairngorms, but just an hour’s journey from Aberdeen and Inverness, Candacraig offers exceptional hospitality in a an unforgettable setting. Whether it’s experiencing the pleasures of a family get-together or the business of a corporate getaway, guests enjoy exclusive use of our outstanding eighteen-acre estate during their stay. Learn to fly fish on our very own lochan, or enjoy the enticing prospect of casting your line in a secluded fishery on the celebrated River Don, with insight and tuition available from an experienced local ghillie. As the world famous home of golf, Scotland also offers unrivalled opportunity for golfing enthusiasts to tee off to excitement. Aberdeenshire has over fifty courses, ranging from stunning links to lush parkland venues. The nearby and easily accessible Royal Aberdeen, Fraserburgh, and Trump International Golf Links rank among some of the best golf courses in Scotland. 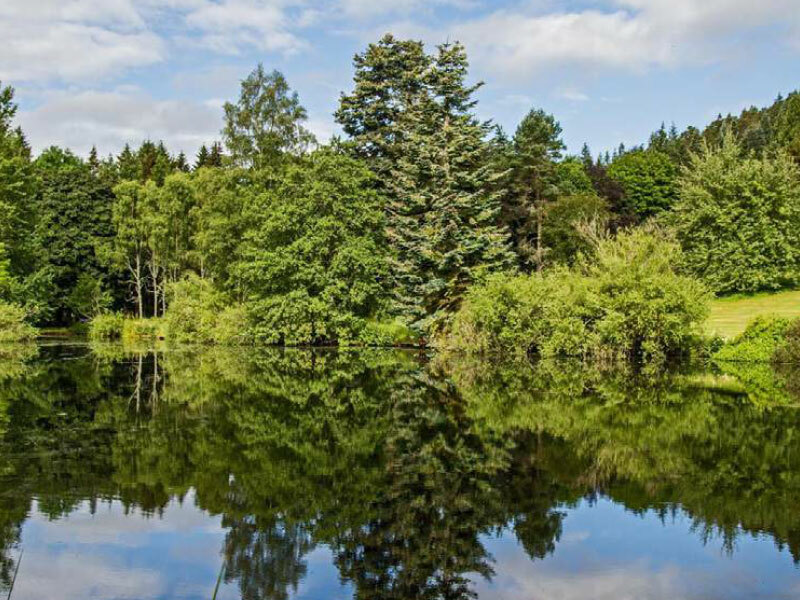 Our remarkable setting in the heart of the stunning Cairngorms National Park allows easy access to the pleasures of hill walking, mountain biking, kayaking, and a dazzling array of outdoor activities. For our more adventurous guests we can arrange delights from thrilling 4×4 off-roading to exhilarating axe throwing. Winter presents the chance to enjoy more of Scotland’s favoured national pursuits, with the nearby mountains offering outstanding skiing and snowboarding in the conveniently located Lecht and Cairngorm Mountain ski resorts. Nestled in the heart of stunning Highland beauty, Candacraig is ideally located to explore a number of outstanding nearby attractions. 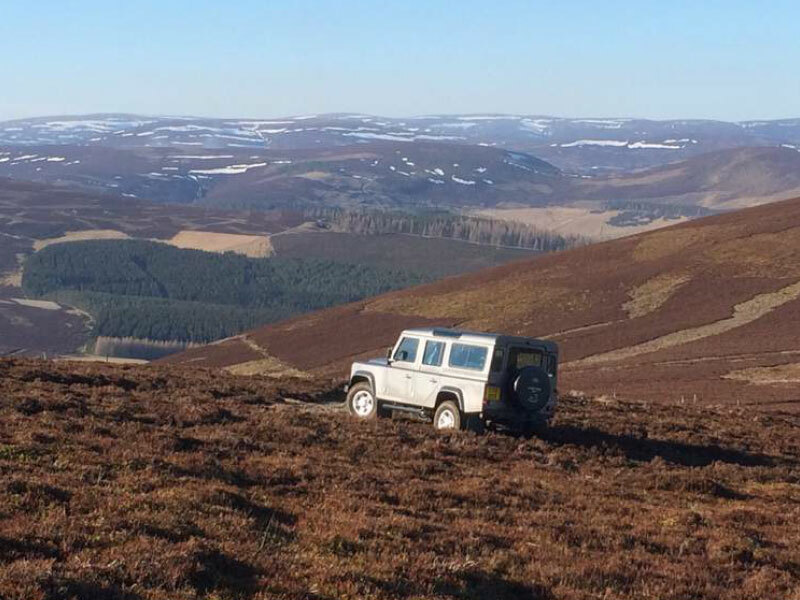 As well as the pleasures of local sporting activities, there are a huge range of things to do in Aberdeenshire which can be readily explored from our wonderful setting. Candacraig sits just a short journey east of the Queen’s own estate at Balmoral, a wonderful location in the heart of Royal Deeside which has been owned by the Royal Family since the mid-19th century. Visitors can enjoy the beautiful views around the estate, and limited admissions to the grounds are made available to visitors each year. Whisky lovers not only have the pleasure of the Spey Valley to explore on the route north, but the conveniently located Royal Lochnagar distillery, famed for its royal warrant, offers an outstanding distillery tour for keen visitors. Candacraig offers an exceptional setting for our guests to explore their own remarkable moments throughout the local area.